Updates Warwagon to roughly reflect the modern day ones although it's not 100% accurate. Larger tape area on pitroad for you to park in! Extra Pitbox behind the Warwagon. Laptops on the Warwagon and Extra Box. 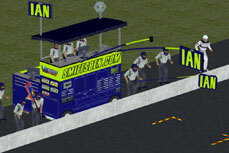 Pitcew sitting on pitbox, clothing is mapped to your Pitcrew template. Backward/Forward compatible with original pitcrew paint schemes, about 99.99% compatible with SSnet pitcrew schemes, the bits that don't match up are so small you're unlikely to see them. 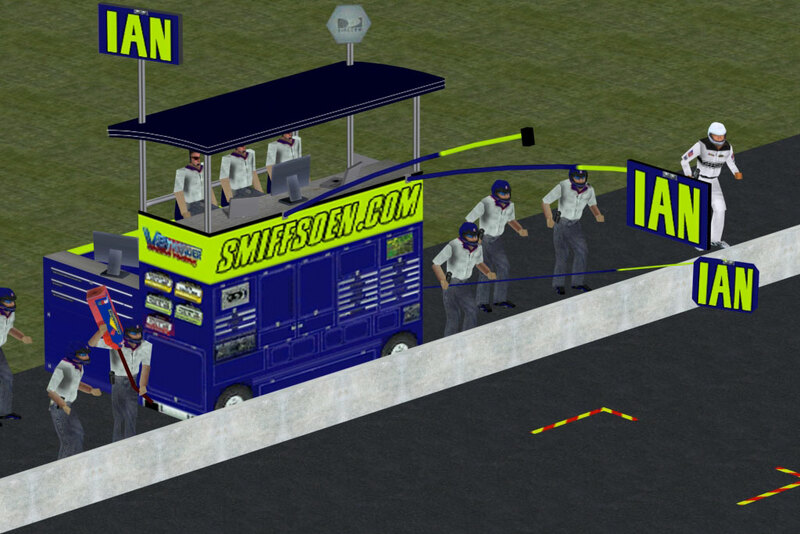 **If you have the Superspeedway.net Warwagon or the PWF Truck mod installed you should backup the warwagon.3do and warwagon_r.3do files from the NASCAR Racing 2003 Season\objs folder before installing this update.